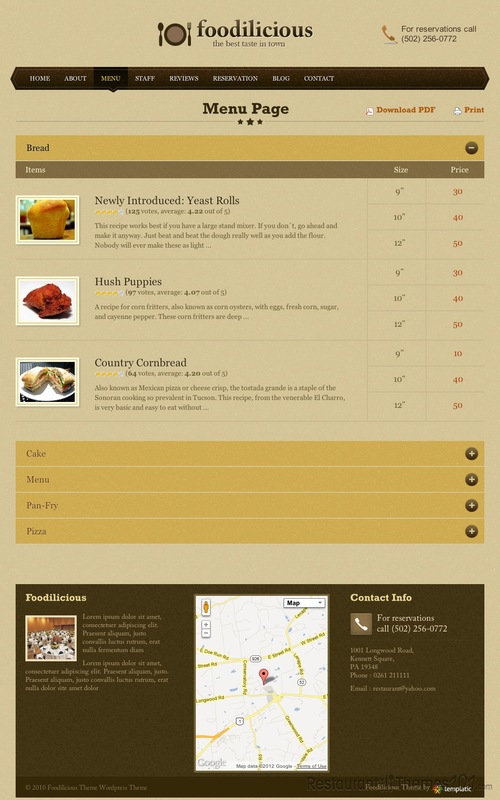 Foodilicious is another WordPress restaurant theme from developer Templatic with great potential. 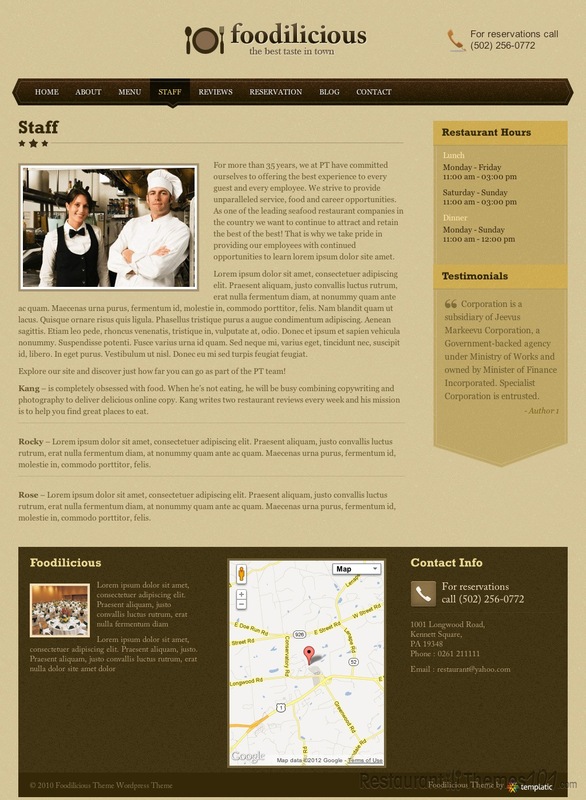 It features a simple but highly functional design and layout, which can easily be customized to work for almost any type of business. 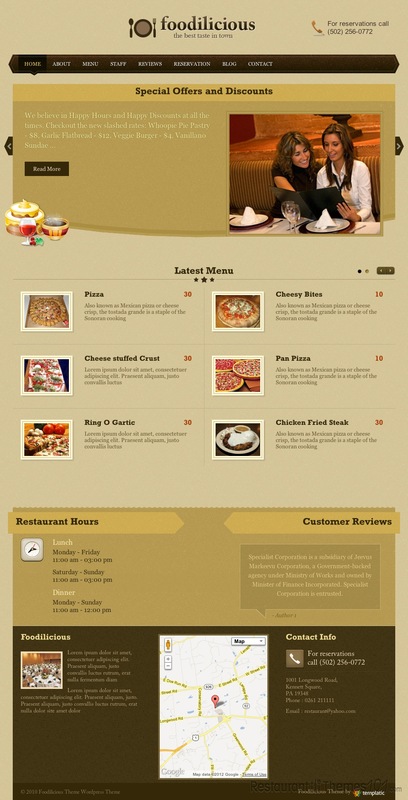 In its basic form, Foodilicious is a great theme for restaurants and cafes, but with a few tweaks, it could easily work for a service business, retail store, or a number of other things. Featured front and center on the Foodilicious theme is a large sliding image gallery, complete with descriptions/text for each picture. 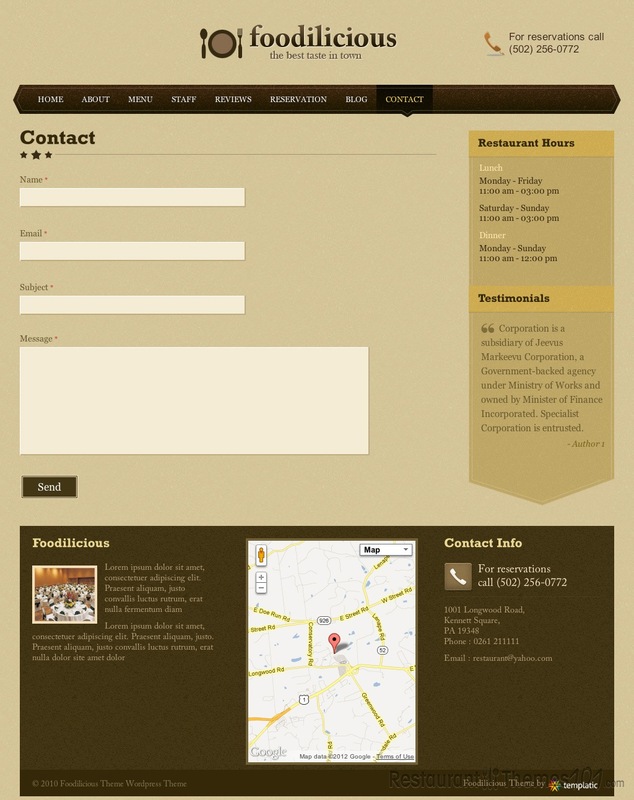 This is a great place to show off your best-selling dishes, drinks, etc. and, unlike many competing themes, Foodilicious gives you the opportunity to describe your dish briefly, right alongside the picture – and the text will slide and change as the pictures do. 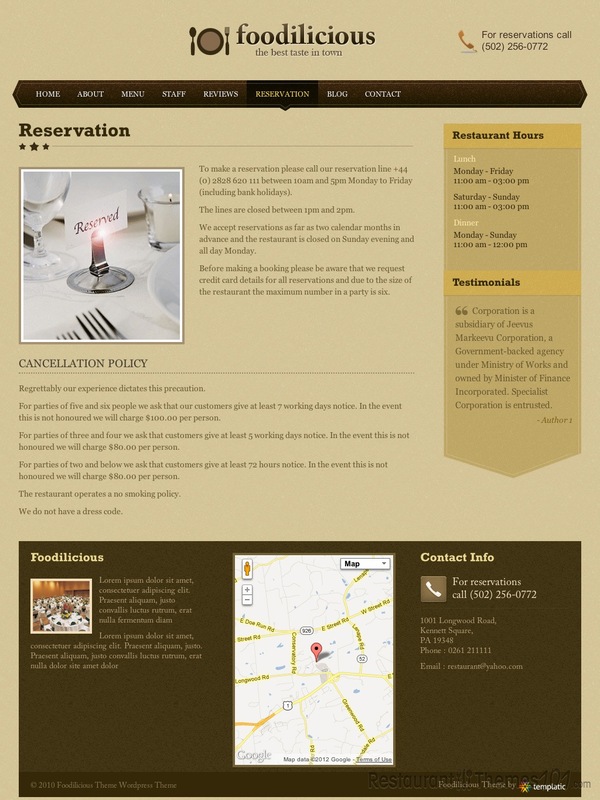 Under the slider is a place to link to your full menus, complete with image thumbnails. 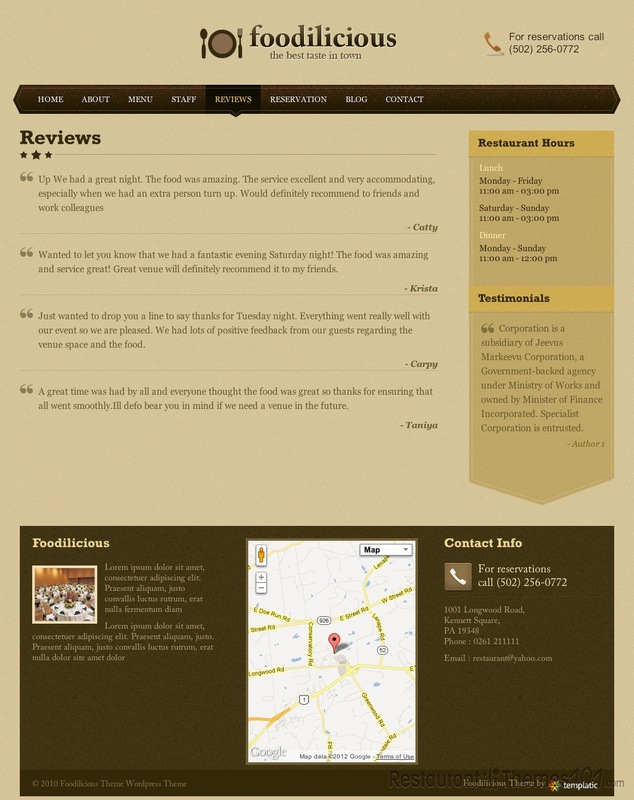 Under that are your restaurant hours, customer reviews, location, and contact information. As far as customization goes, Foodilicious has all the bases covered. The front page is fully customizable and widget-compatible, and the theme’s custom control panel makes making changes very simple. The theme comes with 5 built-in detailed color schemes, and it includes the full PSD document in case you want to make further design changes. The theme also gives you the opportunity to have entire pages dedicated to individual menu items, and offers full localization support. Foodilicious is also optimized for search engines, making it easier to get your site ranked for the keywords you are targeting. Lastly, Foodilicious is cross-browser compatible, meaning it will work great on Safari, Firefox, Chrome, Opera, or Internet Explorer.